Welcome to Girlguiding Jersey. Rainbows, Brownies and Guides meet every week and Rangers every other week and offer great opportunities for each girl to have fun, create friendships and experience new challenges. Please follow our Facebook page 'Girlguiding Jersey' to see the fantastic opportunities we offer girls and adults. If you would like to join us please click on the link to register as a girl or adult. Welcome to Girlguiding Jersey our Centenary year which is full of celebrations for all sections and leaders. We start our year with a new Girlguiding programme, this was launched last July and delivers fun and varied range of activities and of course there are plenty of badges to earn. Girlguiding have introduced new topics, new skills and new ways for girls to broaden their horizons. Our leaders will be starting the new programme into their units during the spring and Summer terms. It is a very exciting time and girls will be following the same programme for all sections but building on their skills and knowledge as they move from one section to another. Our centenary launched on Thinking Day 22 February at St Helier Methodist Church when we welcomed members and their families on the special day. This global celebration takes place on this date which was the joint birthdays of the founder of Girlguiding, Lord Robert Baden Powell and his wife, Olave Baden-Powell, who held the position of World Chief Guide. 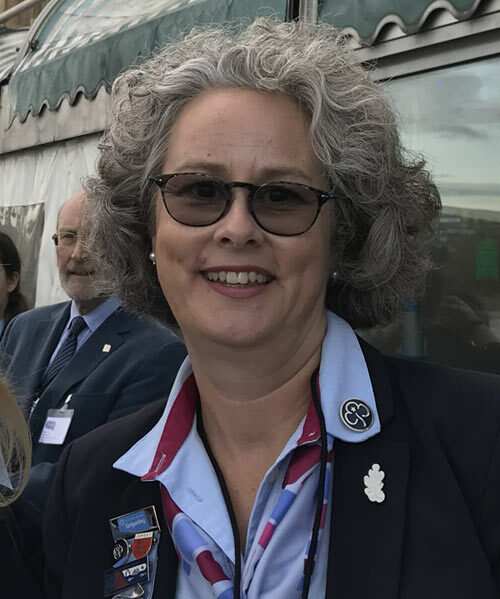 Throughout the year a variety of events will be taking place for all sections and joining the celebrations will be our Chief Commissioner of Girlguiding South West England, Carole Pennington, as well as our Assistant Chief Guide, Emma Guthrie. We also have 2 girls going on an International trip this year which is such a great opportunity for them to discover a new country and meet new people as well as learn new skills. I am privileged to be Island Commissioner in such a great year and I look forward to seeing as many girls as I can to share the celebration of 100 years of Girlguiding in Jersey. All section uniform is now available to purchase Monday-Saturday 9-5pm at Lyndale Sports in Trinity Tel 862411 the team there will assist with all your uniform needs. Girlguiding Jersey Headquarters is located on the coast road at St Clement.